The founder of the National Disaster Search Dog Foundation, Wilma Melville shares stories of growing her nationally recognized organization by rescuing the dogs that would go on to rescue humans. Many couples these days are using prenuptial agreements to decide who gets the pets in the case of a future divorce. Legal experts say the number of couples deciding who keeps pets ahead of time is growing. And, there are even free online versions of pet prenups for couples to ... See More easily sort out their plans for the future. If you’ve missed your chance to draw up a prenup for your pooch and worry your partner could take it away someday, there are methods to improve your chances in a canine custody dispute. Whoever takes care of the pet, took them to the vet and paid for the pet’s supplies and vet bills will stand a better chance of gaining custody, especially if you can prove it in court. One Connecticut family is heartbroken over their beloved dog Simon (a mixed breed) who is currently on death row & local town wants to euthanize him. 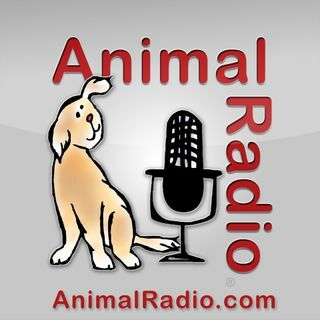 Dr. David Young (Simon’s Dad) tells Animal Radio that a teenage neighbor deliberately cut the fence separating their yards and illegally trespassed on Young’s yard where Simon was playing. The teenager was brandishing a lacrosse stick in a threatening manner. Simon feeling threatened bit the teenager on the leg. Simon has been in City Custody over a year awaiting a court decision. More than half of dog moms and dads put their pet’s health above their own according to a new study. 55% of the pet parents who were interviewed said a healthy diet for their dog is of the highest importance to them. But sadly, the experts found we don’t always consider the health benefits of our own food. Just a third of us consider the nutritional benefits of the food we’re adding to our shopping baskets for our own consumption. And, although we shop for our pets with their health in mind, we could be doing more harm than good at home. Over a third of the dog parents admitted to feeding their fur kid chocolate and cheese, which in some cases can be extremely toxic. Only 68% claimed to know ‘some’ of the food items that are dangerous for dogs to consume. See our list of toxic foods. …and it’s the Animal Radiolympics.